With the winning spirit of the famous namesake, the presence of these Limited Edition sailing ship models, named after America’s Cup yacht designer William Fife, brighten any room with the graceful speed of the waves and unbound freedom of the sea. 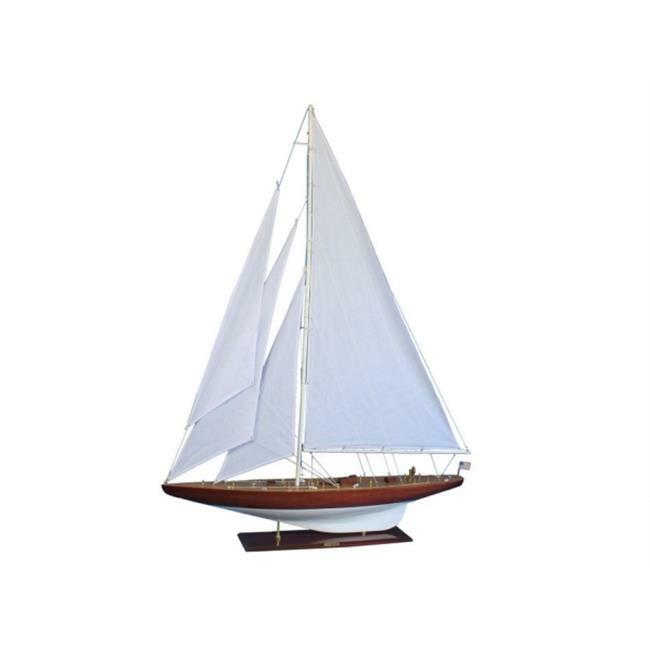 The perfect highlight for a bedroom or beach house, office or meeting room sailing from atop a table, mantle or shelf, William Fife are yacht models of true elegance. Dimension - 43 L x 7 W x 60 H in. Handcrafted Model Ships R - WilliamFife 60 Wooden William Fife Limited Model Sailboat Decoration - 60 in. BoatingSuperstore.biz, a unit of Dominant Systems Corporation, Ann Arbor, MI uses proprietary software to crawl the internet to find the best prices and availability on Toy Boats and related boating and marine products like Handcrafted Model Ships R WilliamFife 60 Wooden William Fife Limited Model Sailboat Decoration 60 in.. For this page, related items include products we find that match the following keywords: "Toy Boat|Toy Sailboat|Model Boat|Model Sailboat" at our vendor partner Walmart - Click More Info / Buy Now to check for price rollbacks!. Handcrafted Model Ships R WilliamFife 60 Wooden William Fife Limited Model Sailboat Decoration 60 in. is one of 86 Toy Boats and related products listed here and availabe for sale as of 10-2-2018. If you have any questions on this product, please give us a call at 734-971-1210 during the hours of 9am - 5pm EST for assistance. Thank you for shopping at Boating Superstore, where our name says it all!